Medrano was the daughter of Diego López de Medrano and Magdalena Bravo de Lagunas. Her paternal family was one of the "Twelve Lineages of Soria," a chivalric military order established in the Middle Ages. Little biographical information is available in English, and my Spanish is more than a little rusty, but the bare outlines of Lucia de Medrano's story emerge nonetheless. After Luisa de Medrano's father and grandfather were killed during the campaign to conquer Granada, at the battle of Gibalfaro (1487), her mother and her eldest sister, Catalina, were established at the court of Isabella of Castile. The rest of the Medrano children--eight of them, including Luisa--were likely to have been too young to have served at court, but seem to have joined other noble children, including those of the Spanish monarchs. Medrano received an extraordinary humanist education, probably tutored by a professor associated with the University of Salamanca. According to an account of her life in El Mundo, Medrano may have been present at the reception for Christopher Columbus, celebrating his return from his first voyage, and she is likely to have met Beatriz Galindo. 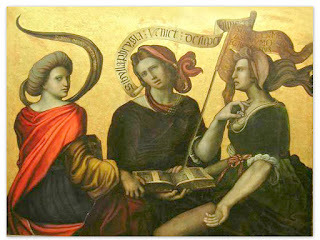 In 1508, when she was twenty-four years old, Luisa de Medrano addressed scholars at the University of Salamanca. The event was noted by the rector of the university, Pedro de Torres: "Ad 1508 die 16 novembris hora tertia legit filia Medrano in Catedra Caconum" ("on November 16, 1508, at the third hour, read the daughter of Medrano"). The nature of this event isn't clear--Medrano may have read a lesson, perhaps on Latin or even canon law, or she may have actually have taken up a position, likely for the year 1508-09, following the departure of the scholar Antonio de Nebrija. In either case, Medrano is regularly cited as the first (known) female professor at a European university. Ahora es cuando me he convencido de que a las mujeres, Natura no negó ingenio, pues en nuestro tiempo, a través de ti, puede ser comprobado, que en las letras y elocuencia has levantado bien alta la cabeza por encima de los hombres, que eres en España la única niña y tierna joven que trabajas con diligencia y aplicación no la lana sino el libro, no el huso sino la pluma, ni la aguja sino el estilo. In a will written in 1527, Magdalena Bravo de Laguna, Luisa de Medrano's mother, notes her daughter's recent death. If she died in 1527, Luisa de Medrano was just forty-three years old. Medrano is said to have written poetry and philosophy, but if so, none of her work has survived. Today an institute of secondary education in Salamanca is named for her, the Institute of Lucia de Medrano. 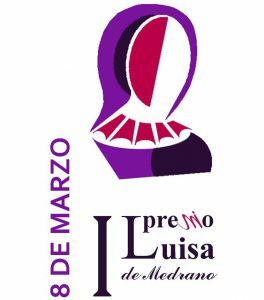 The Luisa de Medrano International Prize, named in her honor, is awarded by the Instituto de la Mujer, Castilla-La Mancha. In announcing the name of the prize, the awards committee noted that Medrano was "the first female professor of a European university." *Sorry for any inaccuracies in my translation! There is a brief biography in Spanish (click here), as well as a novel, María López Villarquide's La catedrática.